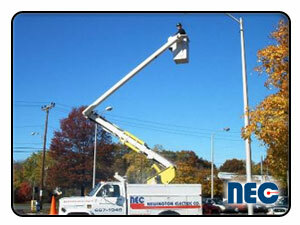 Industrial Electrical Contractor CT- Newington Electric Co. 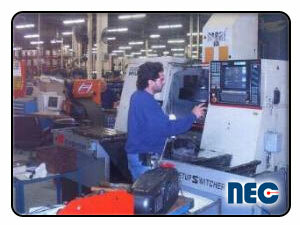 Welcome to NEC's industrial division. 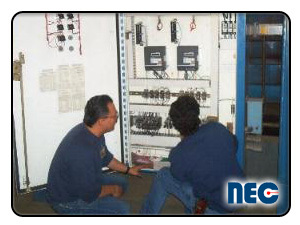 NEC specializes in industrial and machine control wiring, boasting some of the best industrial electricians available with advanced knowledge in the area of machine control wiring, troubleshooting and repair. Our industrial and commercial service department is staffed seven days a week 24 hours a day for emergency repairs. 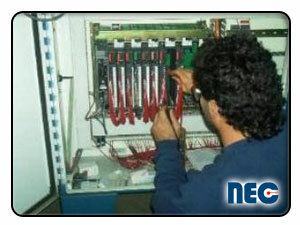 Our staff of qualified electricia ns are experienced in all phases of the electrical trade. 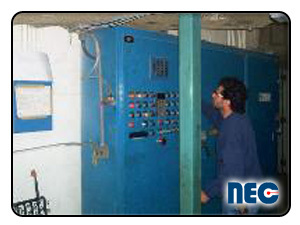 Our basic services include service and repairs, machine control wiring, troubleshooting and repair, new electrical installations, material handling equipment and conveyors, renovations and complete electrical upgrades.